In this very quick article I will show you how to clear event logs with powershell. I will also cover how to clear all even logs. First of all, you will need to run PowerShell as an administrator. If you’re not the local admin for the machine you’re trying to clear the even logs for, then it won’t work. Very simple! Now let’s finaly see how to clear all of the event logs. 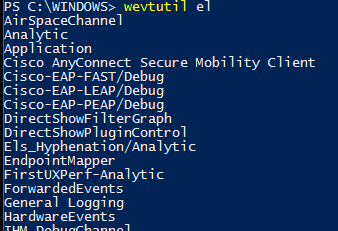 As you can see I’m firstly passing all of the event logs (with wevtutil el) on a foreach object and, for each event, I run wevtutil with the cl (clear logs) option we’ve seen above. That’s it! This is how you clear event logs with powershell!